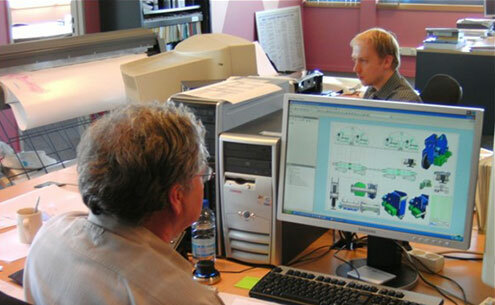 The engineering department within Demako develops and realises high-quality tractions, machines and automated production lines for the most divergent industry branches. The designer steers the project, sets forth the main principles, makes calculaties, powercalculations and instructs the detail draughtsmen, those who develop the concept drawings, piece lists and instruction books. Exactly such as the charge book prescribes. Demako guarantees necessary calculations which are important for the execution of a project.